Signed and titled "Below London Bridge". 4 1/2 x 6 inches. Original ornate water gilded frame and mount. 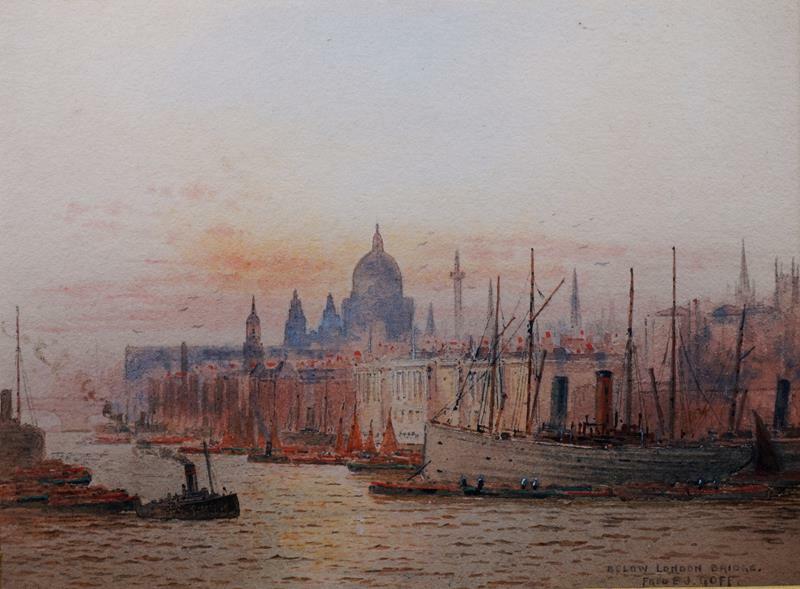 Born in London in 1855, Frederick Goff is a well known topographical painter who worked mainly in watercolour. He is best known for his small, atmospheric, views of the Thames although he also painted topographical, particularly architectural, landscapes throughout England and Wales. He exhibited at the Royal Academy, Royal Institute of Painters in Watercolours and the Glasgow Institute of Fine Arts.